I’ve discussed Tipping Point and Outliers extensively with friends, but haven’t gotten to read them yet. I am highly keen to, I’m just waiting for a used copy to fall into my hands. I rely heavily on borrowed and used books due to the amount of money I have available and amount I read. 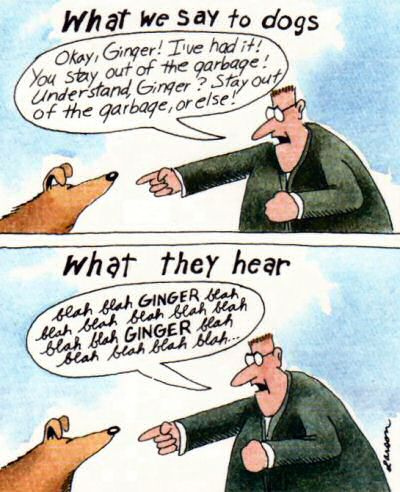 What the Dog Saw is a collection of Gladwell’s articles for the New Yorker magazine, so it’s kind of a cheater book in that all he did was package a lot of work together and write an introduction. Still it was a pretty good read, almost a bathroom reader since you can read each chapter in 20-30 minutes. This made it fairly suitable for train rides. I skimmed heavily through 2 or 3 of the chapters that didn’t really resonate with me. Those chapters were more than offset by a few good ones that really made you think. 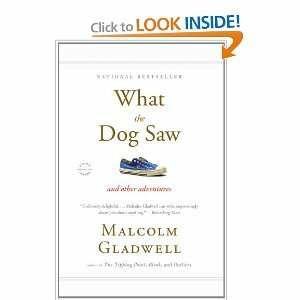 Half way through the book you start to realize the formula for a Gladwell New Yorker article: Talk about one interesting specific anecdote as a representative of a whole category, then intertwine a second anecdote about a historical event that is very different in all except one key way and finally hint at some broad generalization but never make a specific conclusion. The narrative and ancillary facts along the way are more interesting than the conclusions in the end, like a Cohen brothers movie. You want to be very interesting at parties. Gladwell must be the king of conversation stealing at cocktail hour. “Congratulations on your pregnancy! Did you know that modern women have four times as many lifetime menstruation than they did a few hundred years ago?” Conversation hijacked. You already read the New Yorker, none of these stories are new. Also, some of them are particularly dated given the big events that have happened since then to change the collective perspective. Some examples include: dot-com companies in an article from 2000, housing prices covered in 2007, aftermath of September 11th attacks written about in 2003. Next up: I normally would alternate to a fiction book, but an opportunity has come up and so I’m already most of the way through Nolo’s Quick LLC . More details on that later.